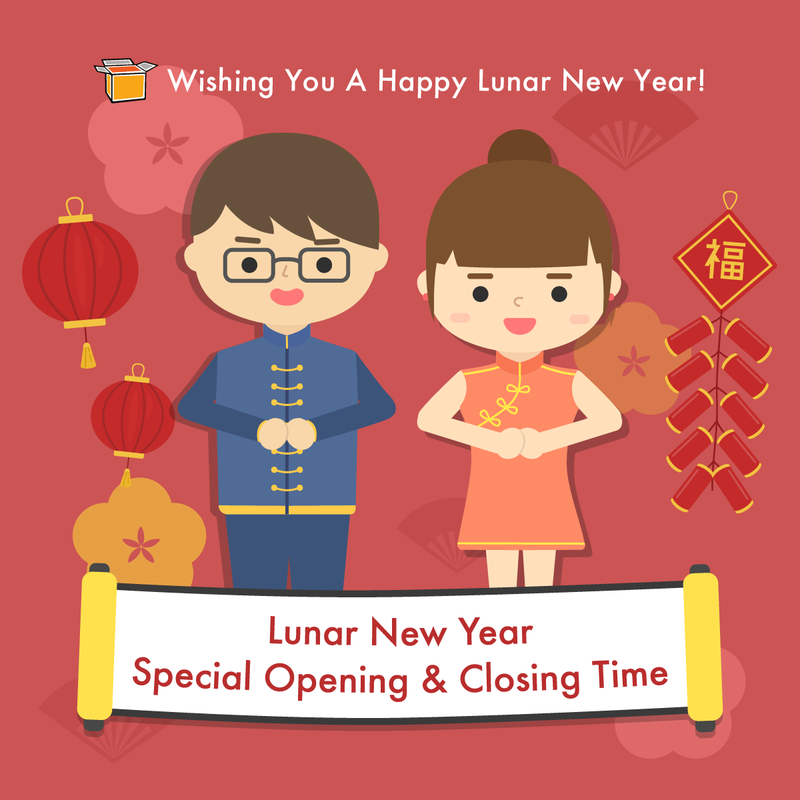 Lunar New Year is around the corner and many businesses throughout Asia have special opening and closing times during that period. Below we have listed our closing and re-opening times after the lunar new year holidays. Our US and UK warehouses are not affected by the holidays and will operate as usual. The Hong Kong warehouse operates the last ship-out on February 4th at 12:00 pm (HK Time). The Hong Kong Warehouse closes on February 4th at 5 pm and stays closed from February 5th – 7th. And will be returning back to service on the 8th of February. The Taiwan Warehouse will be closed from the 2nd – 10th of February. And will resume operation on 11th of February. The Japan Warehouse will be closed from the 4th – 6th. And will resume operation on 8th of February. The China Warehouse will be closed from the Jan 30th – Feb 11th. And will resume operation on 12th of February. The Korea Warehouse will be closed from the 3rd – 6th. And will resume operation on 7th of February.